In the area of the Anti-Terrorist Operation (ATO) in Donbas, the ORDLO militants repeatedly violated the truce and used mortars and grenade launchers against the fighters of the Armed Forces of Ukraine, according to the report by the ATO headquarters. Thus, from the beginning of the day of January 10, the militants conducted 4 targeted attacks at the positions of the ATO forces. In one case Ukrainian servicemen were forced to suppress the fire activity of the invaders. On the Luhansk direction the militants intensified their activity at the Svetlodarsk arc. Near the village of Novoluhanske, the terrorists fired more than 30 mortar mines of the 120 mm and 82 mm calibres at Ukrainian positions. Moreover, the terrorist groups used mounted grenade launchers and large-caliber machine guns. It is noted that militants fired 82-mm mortars and machine guns the on the defenders of the urban-type settlement Luhanske. In Donetsk direction, according to the ATO headquarters, the militants fired at the strongholds of Ukrainian soldiers near Verkhnetoretsky from grenade launchers. Earlier, on January 1, a Ukrainian soldier was killed in the ATO zone. The hero gave his life for Ukraine, having blown up on an explosive device near the village of Novotoshkovske, Luhansk region. QHA reported that the first day of the new year also did not bring peace to the Donbas. 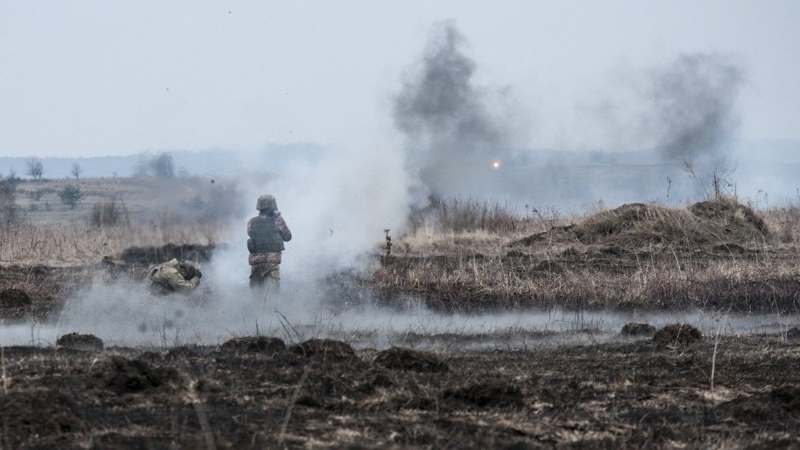 In particular, the Russian occupants continue to shell the positions of the Ukrainian Armed Forces from weapons prohibited under the Minsk agreements.